7. Venus being the Karka for Diamonds and the the Kendras from Venus are under affliction and Venus also afflicted by Mars and Saturn, all scams related to Venus will surface now till 8th Nov. 2018 and 25th March 2019. Nut shell he is in hot waters which is reaching the boiling stage soon .24th-26th Oct. 2018 will also be a key dates since Venus gets deep combusted from Sun Debilitated and most conducive to put the Fugitive Diamond Merchants in trouble. 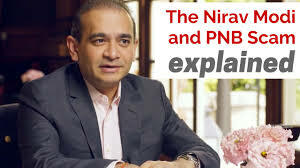 Mehul Choksi deserves all this so does Nirav Modi and both will be in trouble as per these time frames . Raigad (Maharashtra), Jan 25 (IANS) Work finally began on Friday to demolish absconding diamantaire Nirav Modi’s sprawling beach bungalow here that was infamous for lavish parties he threw for clients, international business associates and friends.